Nashville's best beer festival is back! 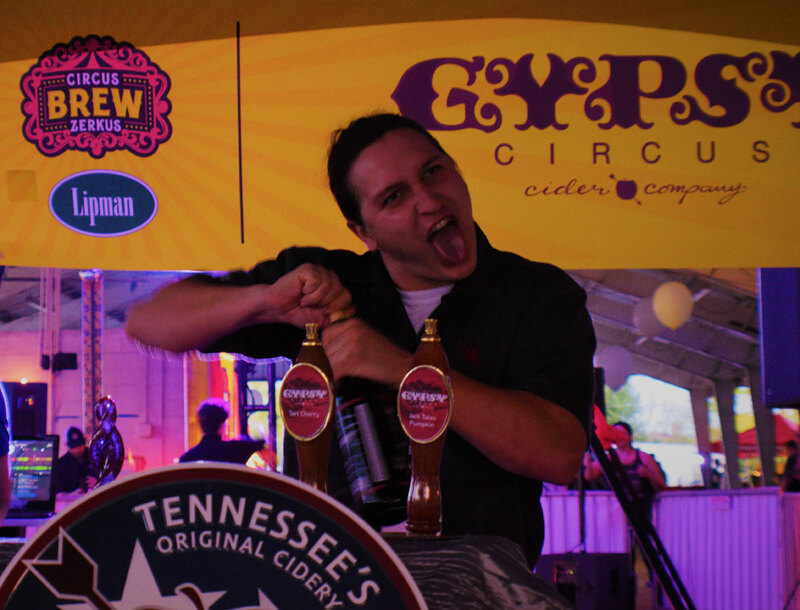 circus brew zerkus combines nonstop circus entertainment and unlimited craft beer samples from over 40 breweries all night long! 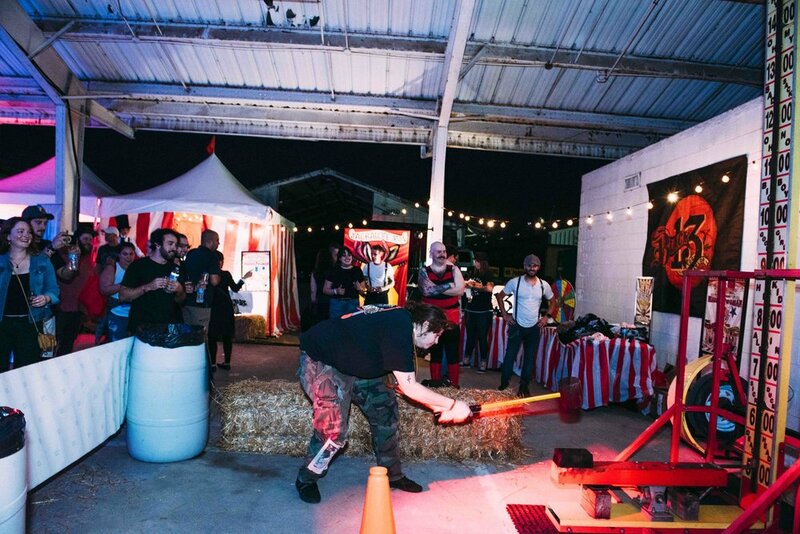 official circus entertainment provided by beyond wings circus with performances by beer pouring aerialists, fire breathers & dancers, stilt walkers, magicians, jugglers and much more! regular ticket sales happening now! please click the link below to sign up. We're going to need HELp SETTING UP before the event, pouring beer AND CLEAN UP AFTER the event. Just pick which group you'd like to be a part of and we'll be sure to confirm your spot. *EACH VOLUNTEER WILL RECEIVE ONE GENERAL ADMISSION TICKET TO PARTICIPATE IN THE FESTIVAL AFTER THEIR SHIFT ENDS. IF YOU VOLUNTEER DURING THE LAST SHIFT YOU RECEIVE A TASTER GLASS TO ENJOY BEER FROM YOUR DESIGNATED STATION AS WELL AS A CBZ SHIRT, GROWLER AND TOTE BAG! Sign up now for all the exclusive announcements about tickets, breweries, performers and more! What is Circus Brew Zerkus? 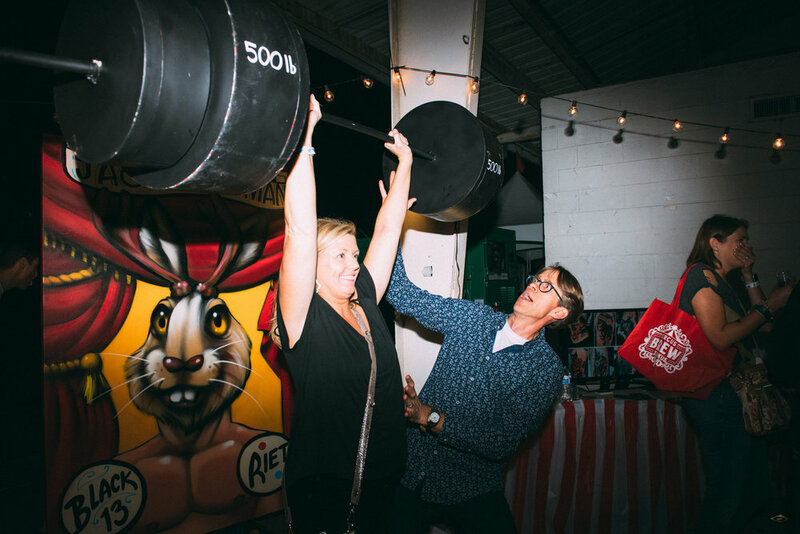 The most fun you’ve ever had at a beer festival! 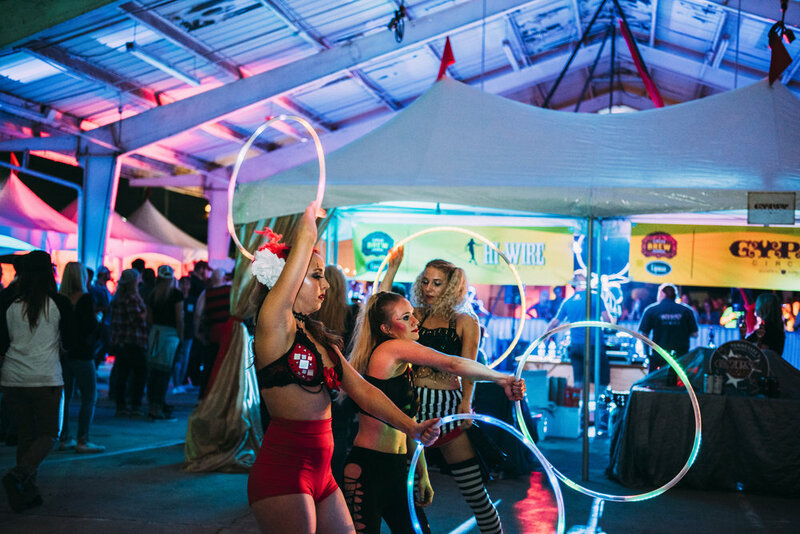 Circus Brew Zerkus is a circus themed beer fest that combines unlimited spectacular beer tastings and a magically interactive circus experience to give you one incredible night to remember! Yep! What better way to enjoy a cold brew than outdoors?! VIP tickets are $85 and come with all kinds of perks and freebies! Buy tickets now, they won't last long! We will be able to scan mobile tickets; however it is easiest if you bring a printed copy of your ticket(s). Yes! There will be limited street parking surrounding the area. DO NOT drink and drive. There are designated driver tickets available for purchase and our friends at Lyft will be running promotions that night so that everyone can get home from the event in a safe manner. We want you to get home safe! Are you able to assist those with disabilities? Yes, please contact us at circusbrewzerkus@gmail.com and we will be happy to assist in answering any questions you may have about the accessibility of this event. Are there discounted Lyft rides? Yep, We’ve partnered with Lyft to offer exclusive ride discounts. New to Lyft? Get $5 off 2 rides at http://lyft.com/i/juggler18 or download the app and enter code JUGGLER 18 to receive your discount. Already have Lyft? Save 10% off 2 rides to or from CBZ with code FIREBREATHER18. Will there be animals used in the event? No, we love animals and do not support the use of them for entertainment. What performers will you have? 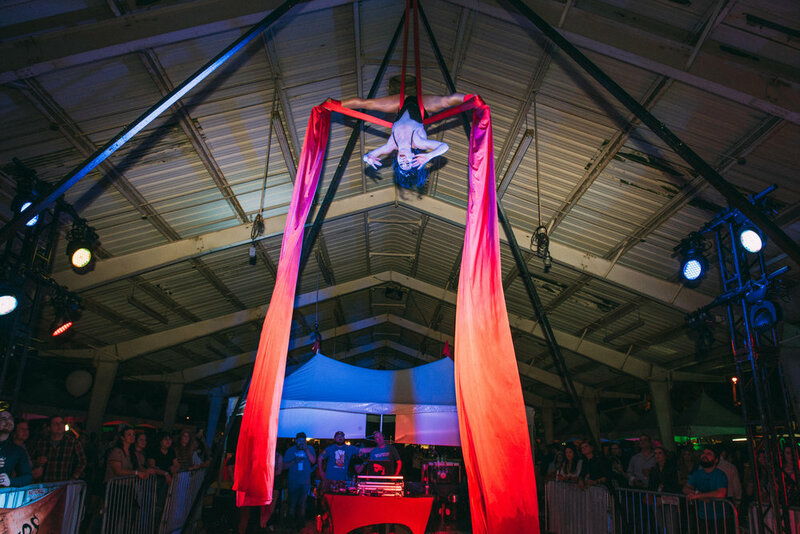 Aerialists, Jugglers, Magicians, Stilt Walkers, Fire Breathers/Dancers, Mimes, and more! No, we will not have clowns at this event. We couldn't live without it so bring your dancing shoes! Yes! Circus inspired costumes are encouraged. Masks are not allowed. Can I bring my dog, cat, parakeet, turtle, or any other animal with me? Sorry! We love ALL animals but unfortunately this is a human only event unless you have a registered service animal. This event is strictly 21 and over. No exceptions. You must have a valid ID upon entry. For the safety of others and everyone attending, this event is strictly 21 and over. No exceptions. You'll want to have someone look after the kiddos and babies for the night. You must have a valid ID upon entry. Nope! Once you are in, you're in and once you leave, you leave. No exceptions. There will be no refunds issued for any tickets. This event is rain or shine! The show MUST go on and there are no refunds on tickets. Last call will be announced at 9:45pm. All beer pours will be cut off at 10:00pm. Will I get a map of the festival? Yes, closer to the event our website will be updated with a full map including our breweries and complete festival layout. You will receive a festival guide upon entry that will include this map. Will there be tickets sold at the gate? If tickets do not sell out before the event we will be selling tickets at the door and will accept cash or card. Please see our ticket page that explains what is included in VIP, GA and Designated Driver tickets. Can I bring my own food and beverage to the event? No outside food or beverage will be allowed into the event. Will you have merchandise for sale? Yes, we will have a limited number of Circus Brew Zerkus exclusive items for sale. In addition to Circus Brew Zerkus merchandise, some of the breweries will also be selling merchandise on-site. Are there Sponsor or Vendor Opportunities? What items are prohibited from the event? Skateboards, Roller skates, Bicycles, etc.